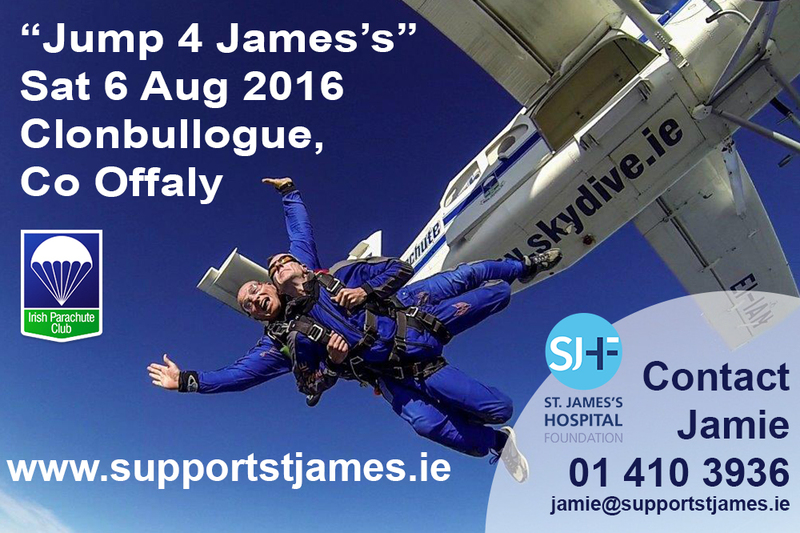 Join us in The Irish Parachute Club in Clonbullogue, Co. Offaly on Saturday, 6th of August for our 2016 “Jump 4 James’s” skydiving event. If jumping out of a plane at over 10,000 feet does not get your Adrenalin rushing…nothing will! So sign up today and get ready for the thrill of a lifetime! All participants must raise a minimum of €500 to do the Tandem Jump and this includes the cost of the jump itself. You can fundraise for any ward, department or speciality of your choice.